Heproliv Plus ( A Quality Product by Elzac Herbal India) is best herbal liver tonic that is made up of best quality herbs with world class formula. Herbal and Ayurvedic products are safe and having no side effects. HeptoLiv-plus contains only natural herbs and processed with quality control by well qualified staff. Herbs that are used in Hepto-Liv plus liver tonic are well accepted and used in various regions of world for cure and prevention of Liver damages and disorders. It contains nearly 19 herbs which have hepatoprotectives, antifibrinolytic, antioxidants, vitamins, minerals, immunmodulators, diuretics, antipyretics, anthelmintics, prebiotic, bitter tonic, antiperiodic, febrifuge, carminative, appetizer and stomachic properties. Phyllanthus Emblica (Amla): Phyllanthus Emblica (Amla) is a rich natural source of Vitamin C and contains 600 to 750 mg per hundred gram of the fresh pulp. Amla is very good antioxidant due to its vitamin presentation and is considered to be anti aging fruit. Fruits also contains about 0.5% fat, phyllemblin and 5 % tannin. Amla fruits are also rich source of minerals like phosphorous, iron and calcium. Amla is main ingredient of many Ayurvedic preparations. It is given in Jaundice, dyspepsia and anemia along with iron compounds. It is also used as an acrid, diuretic, refrigerant and laxative. Dried fruits are given in diarrhea and dysentery. Fruit are also used in preparation of inks, hair oils and shampoo. Amla seeds of the fruits are given in treatment of Asthma and Bronchitis. Amla is a popular ingredient of Triphala Churna and Chyawanprash. Solanum Nigrum: Solanum Nigrum is considered to be antitumorigenic, antioxidant, anti inflammatory, hepatoprotective, diuretic and antipyretic. In Indian traditional medicines, herb is used as dysentery, stomach complains, fever, ulcer and skin diseases. The fruit is also used as tonic, laxative and appetite stimulant. Boil extract of leaves and berries are used to alleviate Liver-related ailments including Jaundice. Boerhaavia Diffusa (Punarnava) Punarnava (Boerhaavia diffusa) contains about 0.04% of alkaloids known as punarnavine and punernavoside, an antifibrinolytic agent. It also contains about 6% of potassium nitrate, an oily substance, and ursolic acid. Punarnava is used as diuretic and as an expectorant. Punarnava is stomachic and is prescribed in the treatment of Jaundice. It is also given in the loss of digestive power, enlargement of spleen and abdominal pains. Phyllanthus Niruri (Bhumyamalaki): Bhumyamalaki is used in ayurveda for problems of the stomach, genitourinary system, liver, kidney and spleen. In Brazil and Peru is used as a herbal remedy for Kidney Stone. Cichorium Intybus(Chicory): Cichorium intybus is reach in Inulin (fibrous polysaccharides) which is a best known natural prebiotic. Inulin is soluble dietary fibre and resistant to digestive enzymes and reaches to large intestine or colon essentially intact, where it is fermented by the resident bacteria. Prebiotics promote growth of colonic probiotics bacteria. Eclipta Alba (Bhringa Raj): Leaves and roots are used for medicinal purpose. It is important constituent of many Ayurvedic preparations. It is very good hair tonic. Tephrosia Purpurea(Sharpunkha): it is used in diseases of liver, spleen, heart and blood. In Ayurveda, it is used as antipyretic, anthelmintic, alexiteric. It is also used in the treatment of leprosy, ulcers, asthma and tumors. It’s root decoction is given in dyspepsia, diarrhea, rheumatism, asthma and urinary disorders. In powder form, it is used for brushing the teeth where it is said to quickly relieve dental pains and stop blood. Berberis Aristala: main active ingredients of Berberis Aristala are berberine, quaternary ammonium salt of isoquinoline alkaloids. Berberine has antibacterial, antifungal, antiviral and antioxidant properties. In Ayurvedic treatment, it is used in treatment of ailments such as urinary problems. Ocimum Sanctum(Tulsi): Tulsi is sacred and well known plant in India. Main chemical constituent present in Tulsi is volatile oils, alkaloids, glycosides, saponin and tannins. Tulsi is very good immune-modulatory agent. It is a good antibacterial and insecticidal. It is used as Stimulant, aromatic, anticatarrhal, spasmolytic and diaphoretic. Andrographis Paniculata (Kirayat): Andrographolide is main chemical constituent present in the Andrographis paniculata. Andrographolide is also attributed with its liver protection and heptato-protective action. Terminalia Chebula (Harde): Main chemical constituent present in Harde is tannins. Tannin content present in herb is depends upon its geographical source. Fruit pulp is used to cure bleeding. Harde is an ingredient of Triphala churna. It is also used as astringent, laxative, stomachic and tonic. It is also used in the treatment of piles and external ulcer. Picrorhiza Kurroa (Kutki): Kutki is found to contain irridoid bitter substances, picroside I, picroside II and kutkoside. It is used as valuable bitter tonic, antiperiodic, febrifuge and stomachic. It is laxative in large doses. It is useful in the treatment of Jaundice. Kutkoside is found to be a potential hepatoprotectant. Fumaria Parviflora (Parpata): fumaria Parviflora is traditionally used in the treatment of several diseases such as Diabetes. It is used in Unani system of Medicines also. It is also used in aches and pains, diarrhea, fever, influenza and liver disorders. Piper Longum (Black pepper): Herb is used as aromatic, stimulant, stomachic and carminative. It causes feeling of warmth and used as condiment. Herb is reported to enhance the bioavailability of certain drugs. Moringa Pterygosperma: It is very good source of vitamins and minerals. It is used in many regions of world to fight against malnutrition. It is a natural anthelmintic and adjuvant. In Ayurvedic medicines it is believed to effect blood pressure and glucose level. Acacia catechu (Kattha): Catechu contains about 10% of acacatechin. It has cooling and digestive properties. 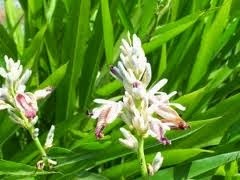 It has astringent property and used for skin eruptions and ulcers. Tinospora Cordifolia (Amaritavalli/Gudachi): Tinospora Cordifolia has immunomodulatory and anticomplimentary activity. Active constituents of Tinospora cordifolia is diterpene compounds, polyphenols and polysaccharides. They significantly increase Ig G antibodies serum. Amaritavalli is used as Immunomodulator. Embelia Ribes (Devnagri): Herb is used as anthelmintic, carminative, appetizer, mild laxative, alternative and Tonic. It is alos used with liquorice root for the purpose of strengthening and preventing the effect of age to body. Tecomella Undulata: Tecomella undulate is used as remedy for syphilis. It is also used in preventing of urinary track disorders, enlargement of spleen, gonorrhea, leucoderma and liver diseases. Traditionally herba is used for Hepatitis. Adult: 2 to 3 teaspoon full trice a day. Children: 1 teaspoon full trice a day. Or as directed by the physicians. 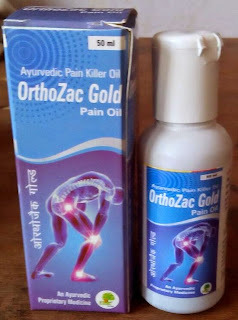 OrthoZac (ओर्थोज़क) is well known ayurvedic medicine used in joint pain, shandi shoath and shandi shul etc conditions. OrthoZac capsule is manufactured under supervision of Elzac Herbal India – A well repute name in ayurvedic and herbal products. OrthoZac capsules is made up of pure ayurvedic herbs (आयुर्वेदिक जड़ी बूटी) i.e. Shudh Kuchla (शुद्ध कुचला), Shudh guggul (शुद्ध गुग्गुल), Shilajit (शिलाजीत), Giloy (गिलोय), Aswagandha (अस्वगंधा), Suranjan siri (सुरंजन सीरी), Kudh (कुध), Sonth (सोंठ), Pipal (पीपल), Harad (हरड़), Baheda (बहेड़ा), Ras Sindur (रास सिंदूर) etc. Every herbs has its own and unique effects at affective pain site. It is purely ayurvedic preparation, hence chances of side effect is minimum. OrthoZac is also available as pain relieve oil. Other common names are Senna Leaf, Tinnevelly Senna. Indian Senna mainly contains dried leaflets of Senna Plant (Cassia Angustifolia Vahl) belonging to the family Leguminosae. Dried Nearly ripe fruits are also used. Senna was known to physicians from ancient time and was part of Unani medicines. Mostly two type of Senna is cultivated. One is Indian Senna and other is Alexandrian Senna. Indian Senna is cultivated and collected in India, as name suggests and Alexandrian Senna grow in middle and upper Nile territories, tropical Africa, specially Sudan. 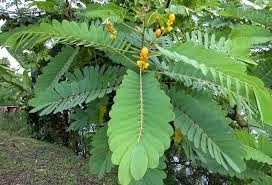 Purgative property of Senna is due to its two anthraquinone glycosides known as Sennoside A and Sennoside B.
Maharasnadi Kwath is a very famous Ayurvedic preparation in liquid form. Maharasnadi is also used in tablet form and in churna form. It is also known as Rasnadi Kwath, kwatha etc. It has potent anti inflammatory, anti rheumatic property and controls degeneration.